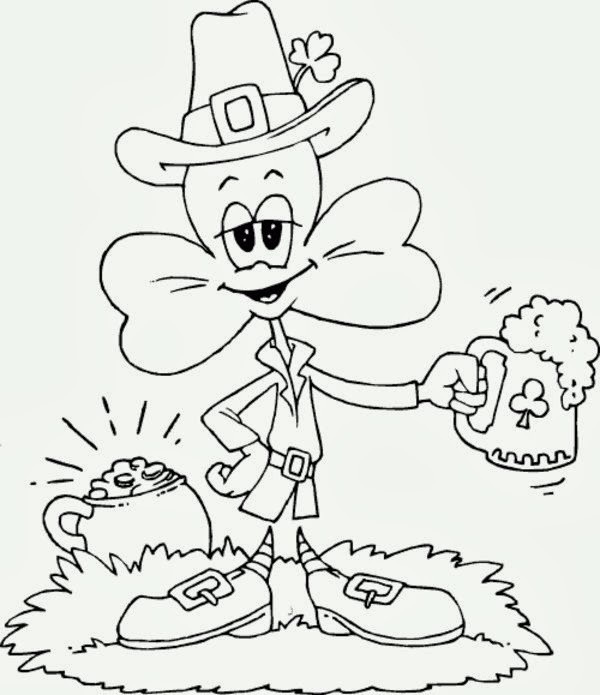 If you think that it's important for the whole family to share the joy of celebrating the feast of St. Patrick, there is no better idea to organize activities in which everyone can participate, adults and kids, just thinking about them, we present a selection of St. Patrick's Drawings for Coloring. I'm sure kids will like them, but also they will be busy, entertained and celebrating this important day. 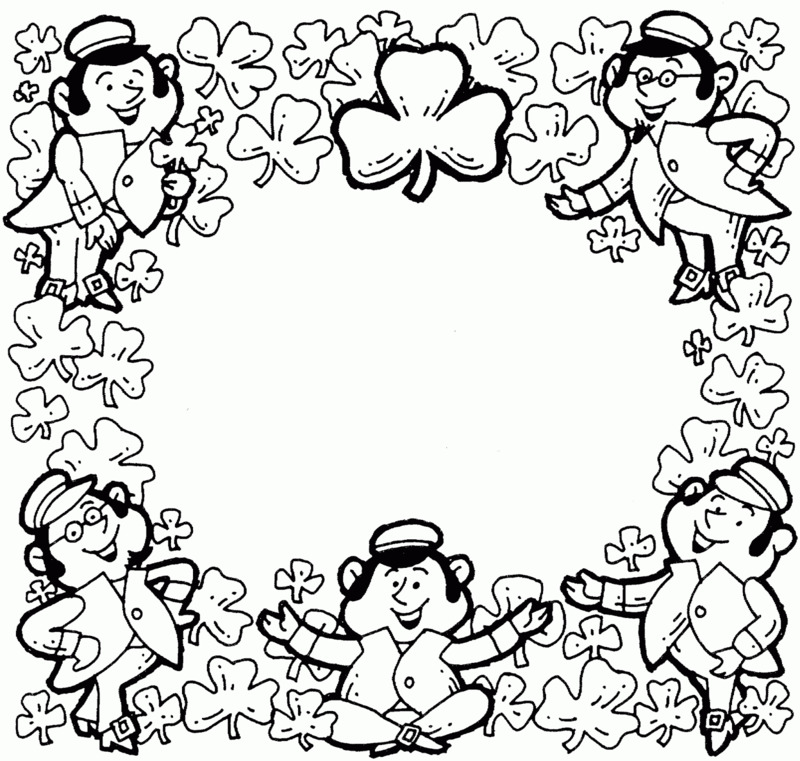 Image of Saint Patrick's Day for coloring with a frame with shamrocks and lucky leprechauns. Image of Saint Patrick's Day for coloring with a glass of beer with a hat and sitting on a rug with shamrocks. 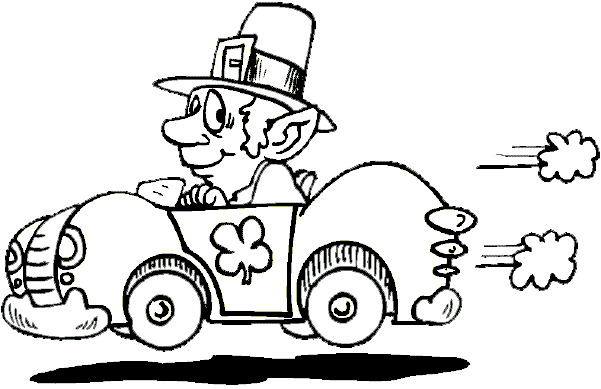 Image of Saint Patrick's Day for coloring with a lucky leprechaun on a car. 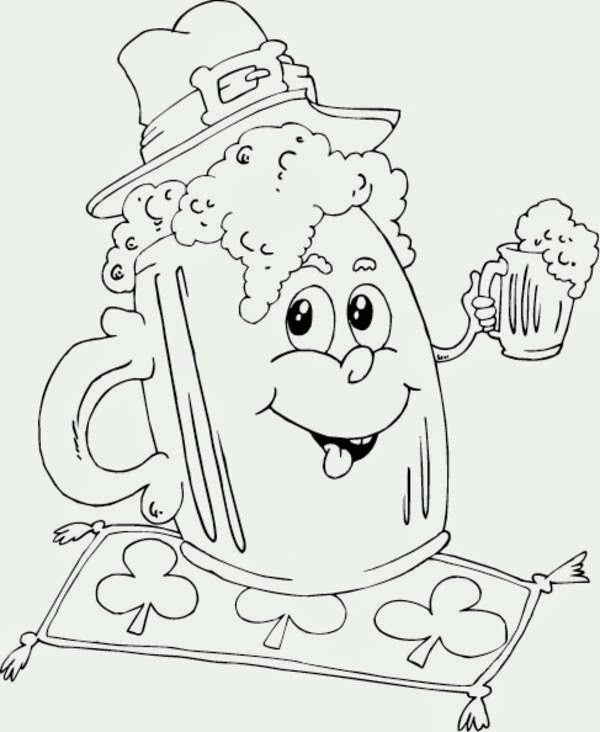 Image of Saint Patrick's Day for coloring with a shamrock with a hat and a glass of beer. 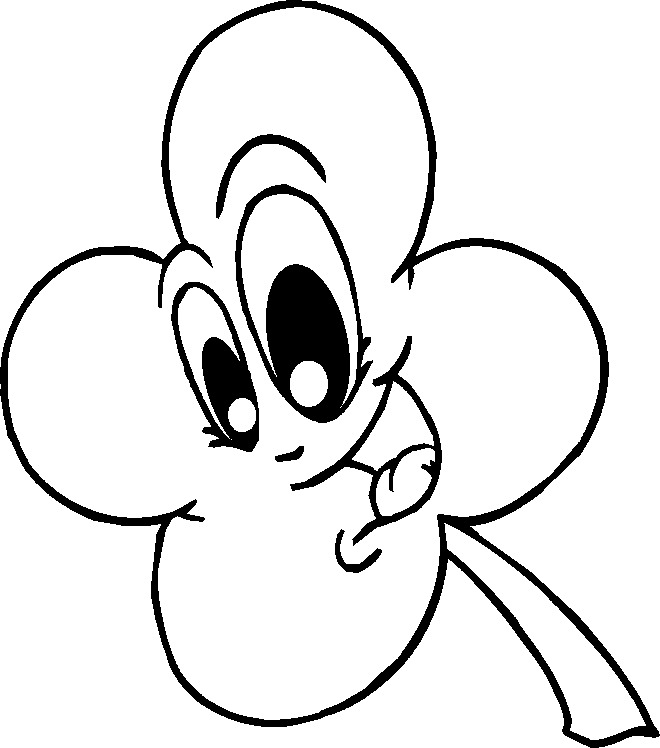 Image of Saint Patrick's Day for coloring with a shamrock smiling. 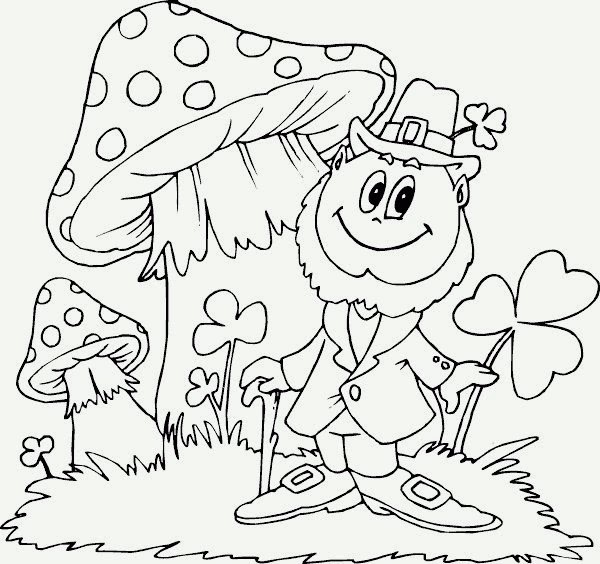 Image of Saint Patrick's Day for coloring with a lucky leprechaun next to shamrocks and mushrooms. 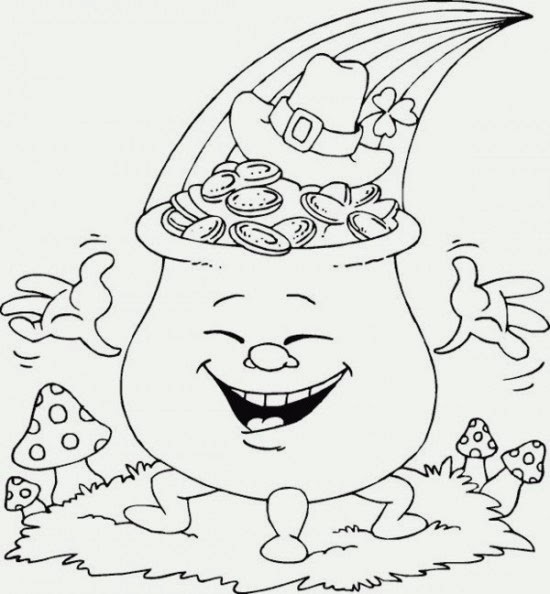 Image of Saint Patrick's Day for coloring with a pot of gold smiling. 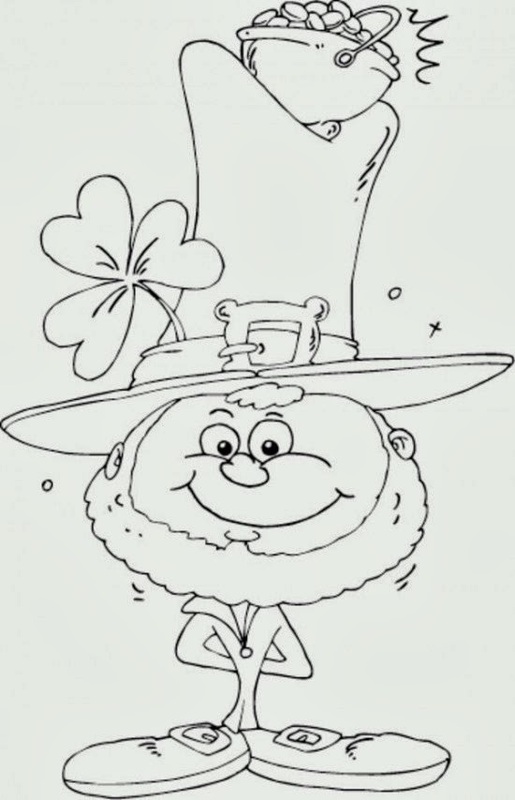 Image of Saint Patrick's Day for coloring with a lucky leprechaun with a big hat with a pot of gold on it. 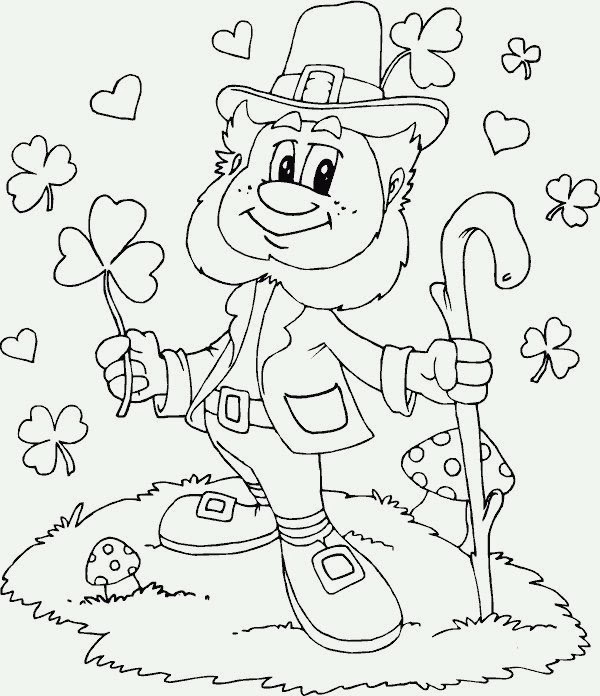 Image of Saint Patrick's Day for coloring with a lucky leprechaun with hearts and shamrocks. 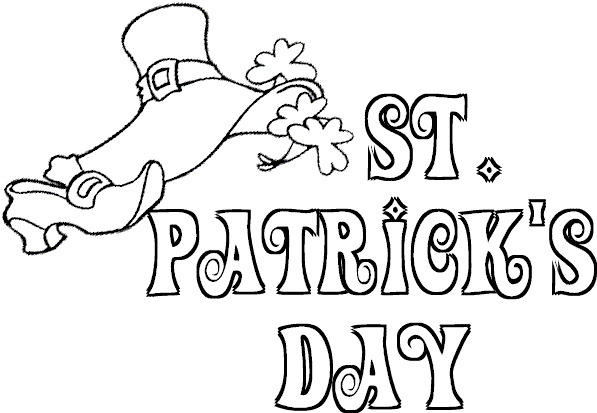 Image of Saint Patrick's Day for coloring with a hat, a shoe and some shamrocks.